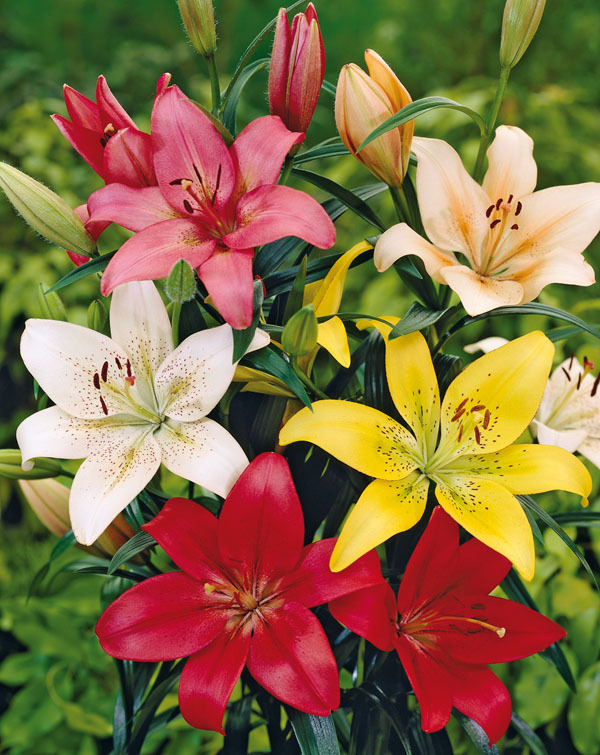 Mixed Asiatic Lilies. A beautiful assortment of 10 incredible Asiatic lily Bulbs, Excellent choice for a cutting garden or just to mix in to the middle border. 10 12/14 bulbs/pkg.